Notes: 사거리 is an intersection where four roads meet at one point (two perpendicular roads). The word “삼거리” is also possible, which describes an intersection where three roads meet at one point. It is common to place a neighborhood name before “사거리” to describe the big intersection that defines a neighborhood in Korea. Notes: When children in Korea turn four years old, they usually attend an “어린이집” for one to three years. Sometime before they turn eight years old, they will start to attend a “유치원.” When they turn eight years old, they start attending elementary school. At an 어린이집, they will do some educational activities, but it is more of a day care center. A 유치원 is more focused on education. Notes: When children in Korea turn four years old, they usually attend an “어린이집” for one to three years. Sometime before they turn eight years old, they will start to attend a “유치원.” When they turn eight years old, they start attending elementary school. At an 어린이집, they will do some educational activities, but it is more of a care center. A 유치원 is more focused on education. In Canada, kindergarten is usually connected with elementary schools. In Korea, kindergartens are usually businesses with no affiliation to an elementary school. Notes: Korean prisons serve rice with beans a lot so people often say “콩밥을 먹다” to indicate that a person is in prison. 저를 감옥에 넣지 말아 주세요! = Please don’t put me in prison! 미쳤어?! = Are you crazy?! This is the adverb form of the adjective 멀다. Notes: 초 is placed after an indication of time to indicate that something occurs at the “beginning” of the indicated time period. 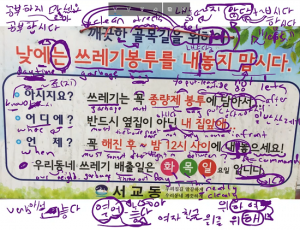 Notes: 말 is placed after an indication of time to indicate that something occurs at the “end” of the indicated time period. 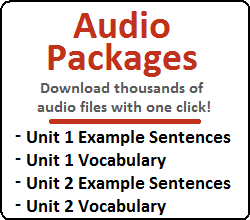 In the previous lesson, you learned how to give commands using the imperative voice. In this lesson, you will learn how to use 주다 and how it can be used with the imperative voice. In addition, you will learn how to use ~아/어 주다 when an action is done for you. Let’s get started. The sentences above only involve objects being given. It is also possible to use 주다 when an action is being done for a person. Let’s talk about this next. Those sentences essentially have the same meaning, but by adding “~아/어 주다” the speaker is emphasizing that the teacher provided some sort of service/favor by teaching you. Notice that ~(으)시 can be added to ~아/어 주다 if the person acting deserves high respect. You learned in the previous lesson how to add imperative endings to words. If you want a person to do something for you, you can first add ~아/어 주다 to the stem of the word and add an imperative ending to 주다. Notice that both sentences essentially have the same meaning. The first sentence is simply a command, but the second sentence (because of the nature of the word “주다”) implies that the desired action is beneficial to the speaker. Almost as if the action is a favor that the speaker would like to happen. The only difference being that when using ‘주다’ you are specifically asking for some sort of ‘service.’ When you do not include ‘주다,’ you are just telling somebody to do something. However, by saying 주다, you are indicating that the person is doing something for you. There are other ways to ask for something in Korean that don’t need the imperative mood. For example, you could also say “Can you do this for me?” It would also be appropriate to use “좀” in sentences like this as well. This grammar has not been introduced yet, so I do not want to talk about it here. It will be talked about in Lesson 45. If you wanted to say, “thank you for listening,” you would have to use multiple concepts. And that is why I waited until Lesson 41 to teach you about this concept. There would have been no way that you would have been able to grasp everything I taught in this lesson if I had taught it earlier. 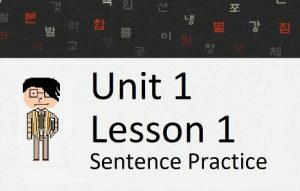 It took us so long to get to the point where I was comfortable teaching concepts like ~아/어서 and ‘~(으)시,’ and now we are using both of those concepts together in addition to what you learned in this lesson. Tough stuff, but hopefully you understood everything correctly. 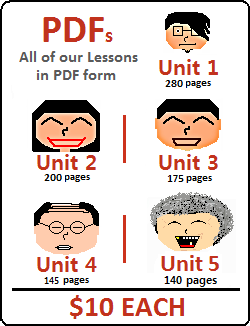 Now that you have reached the end of Lesson 41, why not try taking our Mini-Test where you can test yourself on what you’ve learned in the past 8 lessons. Need a review before you do the test? Why not look back on the past 8 lessons?